Make the right choice in the right dental practice; choose Novy Scheinfeld, DDS, PC, and her associate Sidney Tourial, DDS, PC, located in the heart of Sandy Springs, GA. Consider the bottom line to your self-esteem and consider being treated by an Emory trained prosthodontist. Some people avoid smiling because they are ashamed of their teeth or unsure of how they will be received by the dentist after so many years of procrastination. Our practice has over 4 generations of patients who are not ashamed of their smile. Before Dr. Neal Kopp past away in 2008, we had over 5 decades of experience in prosthodontic dentistry. 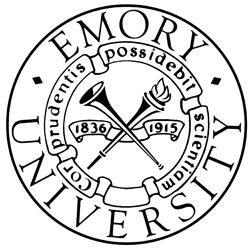 All of us either practiced, trained or taught at Emory University’s School of Dentistry. Cosmetic dentistry by a prosthodontic based practice involves improving the aesthetics and function of your smile with the right smile, to make you look and feel more attractive. Click www.rightsmilecenter.com and see for yourself. We have over 350 unedited reviews by patients with real life experiences in our practice. Don’t believe me, read what others have to say – good, bad or otherwise. If cosmetic dentistry is right for you, then we are right for you. Next postSandy Springs Dental: Are You Thumbing Your Mouth At Me?